England. 1535. Jane Seymour is 27 years old and increasingly desperate for the marriage that will provide her a real place in the world. She gets the perfect opportunity to shine when the court visits Wolf Hall, the Seymour ancestral manor. With new poise born from this event, it seems certain that her efficiency and diligence will shine through and finally attract a suitor. Meanwhile, King Henry VIII is 45 and increasingly desperate for a son to secure his legacy. He left his first wife, a princess of Spain, changing his country’s religion in the process, to marry Anne Boleyn — but she too has failed to deliver the promised heir. As Henry begins to fear he is cursed, Jane Seymour’s honesty and innocence conjure redemption. 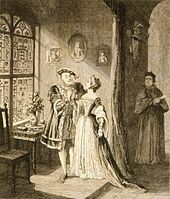 Thomas Cromwell, an ambitious clerk who has built a career on strategically satisfying the King’s desires, sees in Jane the perfect vehicle to calm the political unrest that threatens the country: he engineers the plot that ends with Jane becoming the King’s third wife.Jane believes herself virtuous and her actions justified, but early miscarriages shake her confidence and hopes. How can a woman who has done nothing wrong herself deal with the guilt of how she unseated her predecessor? Jane’s story begins in 1525, where at age 18 is still unmarried and becomes a maid of honour for mighty Katherine of Aragon. Jane is a quiet girl, keen to be part of the court instead of being a lowly spinster at home. But Jane’s tuition at court is placed in the hands of two other maids to the queen – Anne and Mary Boleyn. They are distant cousins to Jane, but quiet Jane finds the pair to be disingenuous – Mary is already the king’s mistress, and rumours swirl of Anne’s virtue also. Jane, who sees herself as fair and perfect, considers her cousins to be intimidating and foolish, and they care not for the company of boring Jane. Years pass and Jane works in the court, slowly rising in favour until poor Katherine is ousted. But then Jane’s cousin Anne Boleyn is finally elevated from mistress to Henry’s side as queen. Jane is still unwed, a seemingly boring woman in the company of Queen Anne, who sees nothing in her lady. But trouble soon comes when Anne gives birth to a daughter for Henry. Jane isn’t the only Seymour at court; her young sister Elizabeth found a husband quickly and the Seymours decide to swap out Jane for another sister, Dorothy. Quiet Jane needs a plan; she goes home to Wolf Hall, where the king plans to stay on summer progress, to host the royal party, and in return her brother will find her a decent husband. But while everyone thinks they know Jane Seymour, quiet Jane is a totally new woman. 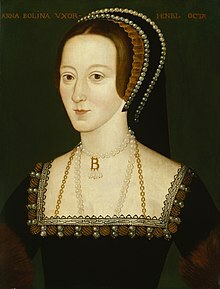 Only she can interest Henry; not brash like Anne Boleyn, but no weakling as her family assumes. Jane has a plan all of her own. 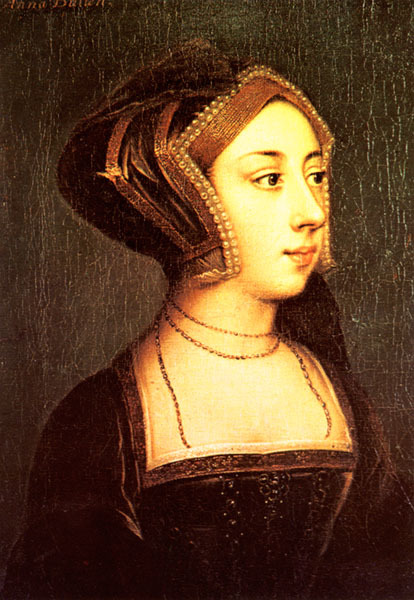 Jane goes into training; she will be no whore, and she will be no Anne Boleyn either. Jane wants better for herself and she is no pawn any longer. Jane is ready to stand up, and play her part at court, all to claim what she wants – the crown itself. Jane is always written as the boring queen and I enjoyed reading a book where she was anything but. Jane plays the games at court well, ready to scheme her way onto the throne, rather than being shoved on by her brother. Her brother Edward is a likable man, a product of his time, and young brother Thomas is a cad, as history suggests. Everyone knows of Edward’s second wife Anne, the bitchy sidekick of her husband. This time, Anne is a kinder woman, while my book-husband Thomas Cromwell is a man who can work with anyone, always ready to come out on top. Cromwell’s POV is used a little too, which was a bonus for me. It was fun to read Jane’s perspective, who is sometimes seen as appearing from nowhere to take a king, when she was instead in the background, understanding court politics. And this book is the first in a series, so make room on your shelf! Each location is described in a fascinating narrative that unearths the queens’ lives in documents and artefacts, as well as providing practical visitor information based on the authors’ first-hand knowledge of each site. Accompanied by an extensive range of images including timelines, maps, photographs and sketches, this book brings us closer than ever to the women behind the legends, providing a personal and illuminating journey in the footsteps of the six wives of Henry VIII. For everything Henry VIII did, all anyone remembers is the fact he married six times. To be fair, he isn’t all that different to many guys – gets to middle-age and freaks out and wants to date younger women, usually blondes. And like most of these scenarios, who the women are doesn’t matter so much, but to those of us who do know these women, they are far more fascinating than the man they married. Whether or not you know your Annes from your Katherines from your Jane, this book is a different take on the six queens of England. Morris and Grueninger, rather than writing the history of these women, have instead mapped out their lives, detailing the places where they lived their extraordinary lives, a tour of their time as queens. Katherine no.1 was England’s queen, but she began her life in Spain, and the authors have included this history in the detail of her life, such as the details of the Alcazar in Seville and in the incredible Alcazar in Cordoba, and naturally, the Alhambra. On the other side of her life, Katherine’s time pushed aside as a forgotten wife is even detailed, something I found invaluable. Anne Boleyn’s life gets a vivid recreation at Hever Castle, before she headed to Flanders and France. Of course, her time in the Tower before execution is all laid out (in fact, there is a whole extra book!). Jane Seymour led a more simple life, but the now well-known Wolf Hall is there, along with Mercer’s Hall and Chester Place in London. Next came Anne no.2, one of my personal favourites, and what a varied life Anne of Cleves lived. She grew up by the Rhine in Düsseldorf; she and her sister were painted by Holbein himself at Schloss Hambach. Anne travelled through Antwerp, staying at England House, and onto Bruges, Calais, before she passed through Deal and Dover Castles in Kent. Anne lived in many beautiful places before being given The King’s Manor, a 100-room palace in Dartford. Oh, to see what Anne of Cleves saw in her time! 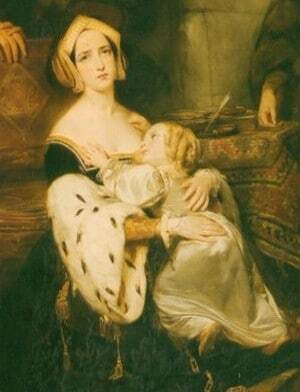 Katherine no.2, little Katherine Howard, started her life at Norfolk House in London and Horsham, where many of her problems began. Katherine’s young eyes take readers to Oatlands Palace, Grimsthorpe Castle in Lincolnshire, north into York and more before she ended her days in the Tower. Katherine no.3, the intelligent Katherine Parr, had been married and widowed twice before the king all-but forced her into marriage. She started life at Rye House in Hertfordshire, before moving between castles in Lincolnshire, Cumbia and North Yorkshire. As queen, Katherine lived in Woking Place in Surrey, including when she ruled as regent in Henry’s absence while fighting in France. The now-mythical Nonsuch Palace in Surrey also makes an entry. I can’t tell you how many places are meticulously detailed in this book. The level of information and attention is unquestionable in this beautiful book and there is absolutely no book which can give readers insight such as this one. I cannot thank the authors enough for this book, I originally got a copy at the library but went and ordered a copy for myself straight away.